In order to achieve the SDGs, collaboration needs to take place at a scale not witnessed before. The 2030 Agenda highlights the importance of strengthening institutions and governance in Global Compact Network Lebanon’s (GCNL) pledge to leave no one behind. 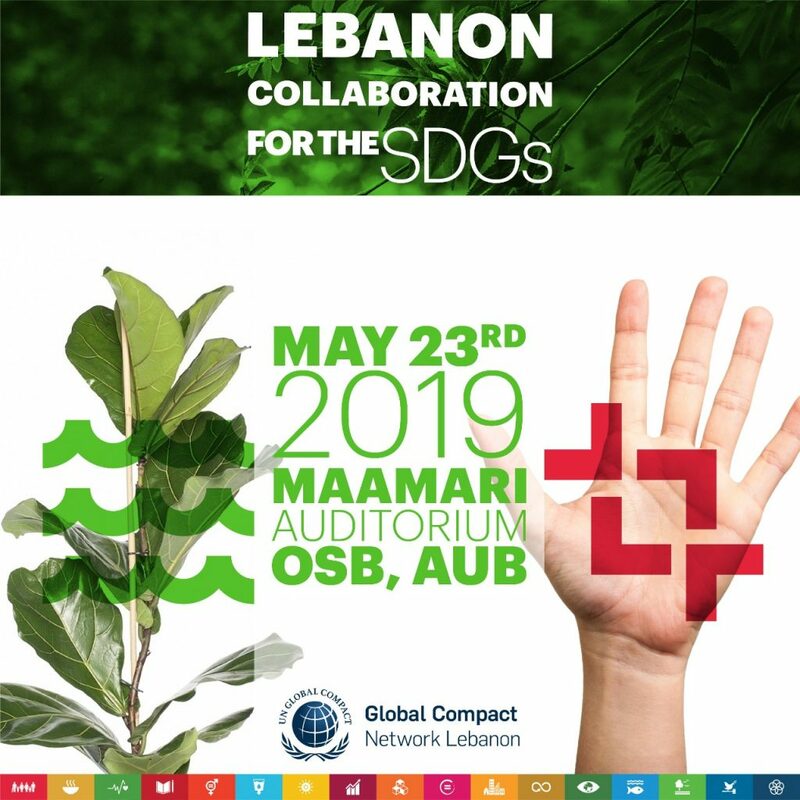 The conference will showcase ongoing initiatives addressing the Sustainable Development Goals (SDGs) in Lebanon with a focus on Environment & Anti-Corruption through a line-up of highly acclaimed stakeholders. This will be an interactive event marked by panel discussions and case studies dedicated to the discussion of the aforementioned topics. Moreover, key takeaways of best practices in these topics will be distributed to the audience and shared amongst the Network. Where? OSB Maamari Auditorium, American University of Beirut. What else is on the program? GCNL will launch the Second Annual SDG Milestone’s Awards; this competition aims to recognize organizations and businesses who are doing exceptional work to integrate and advance action towards the 17 Sustainable Developmental Goals and the UNGC 2030 agenda! The results will be announced during GCNL’s 3rd annual Multi-Stakeholder SDG Forum in October. On this note, GCNL will collect entries from businesses across sectors and highlight some of the amazing progress done by both the private and public sector towards solving the most pressing environmental, social & economic challenges of our time. These accomplishments will then be published in GCNL’s booklet: “Zooming on SDG Trends in Lebanon” which will showcase all the best practices of GCNL’s Network Members throughout the year. Register for this upcoming event.